A Cheerful Country-Like Setting with Majestic Views! Are you looking for a great venue for your upcoming event? Then La Mariposa Resort is the place for you. 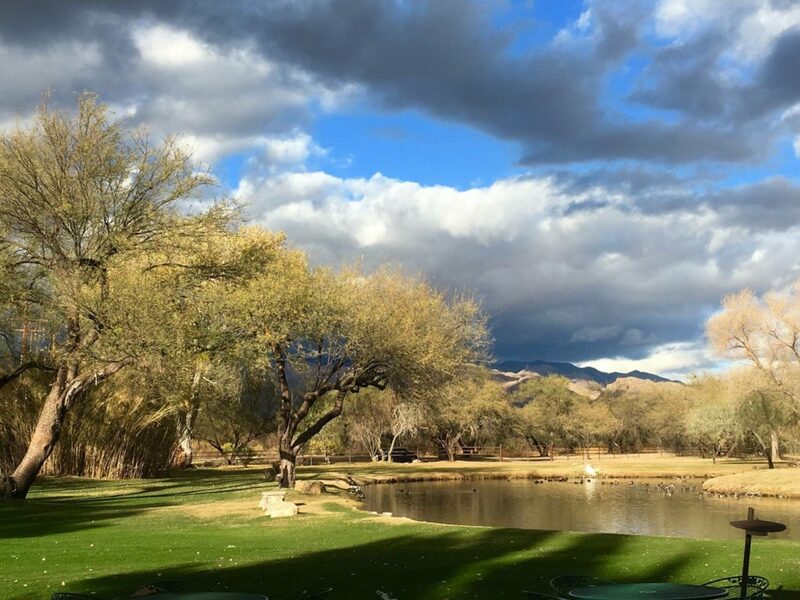 Situated in the Tanque Verde Valley on the East side of the city, La Mariposa has a spectacular backdrop of the Catalina and Rincon mountains. The beautiful sprawling lawn, ringed by tall trees and a sparkling pond, make a great outdoor/indoor event site. Ever so lovely, is the Starlight Banquet Room, with it's enormous grand skylight and floor to ceiling windows that look out to a panoramic view. And the expansive outdoor patio and firepit make a great setting for live music and dancing. Start planning your event at La Mariposa Resort by contacting our Events Department at (520) 749-1099 today! Start planning your Special Event now at La Mariposa Resort by contacting our Events Department at (520) 749-1099 today!